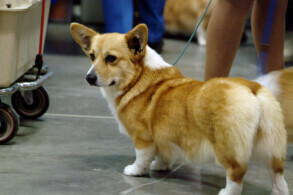 The Pembroke Welsh Corgi is the more popular of the two Corgi breeds (Pembroke and Cardigan). The two breeds resemble each other very closely (due to crossbreeding in the 19th century when both breeds were recognized as the same). The most prominent difference between the two breeds today is the Pembroke Welsh Corgi does not have a tail, while the Cardigan Welsh Corgi does. 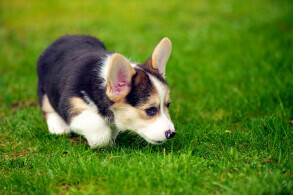 Despite their small size, the breed has a lot of energy and will need daily exercise. They are a very vocal breed, which may be an issue for families that share a wall with neighbors (apartments, condos, etc.). 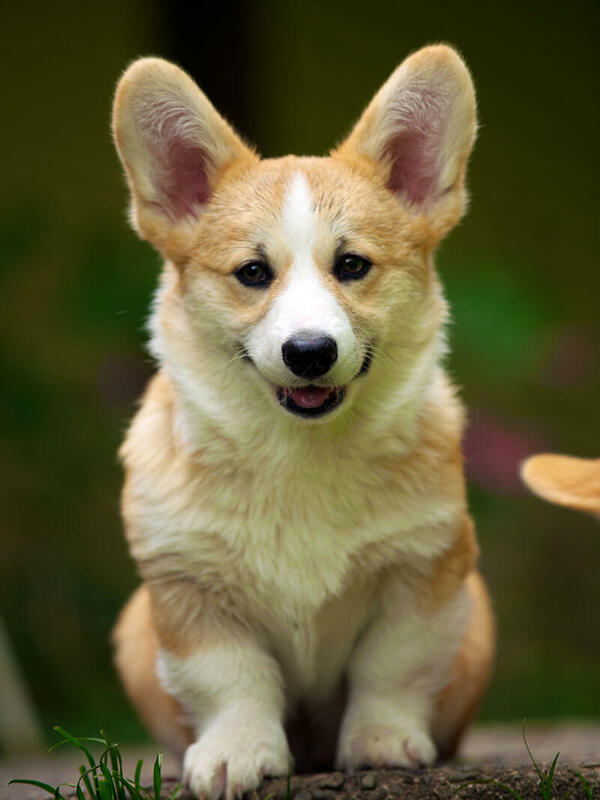 Like most breeds, the Pembroke Welsh Corgi needs to be socialized while still a puppy to keep them from becoming shy towards strangers and other animals. 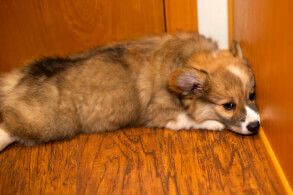 Below are the breed specs and details for the Pembroke Welsh Corgi. The Pembroke Welsh Corgi is a medium sized dog that stands 10-13 inches tall and weighs up to 30 pounds. It's short legs and elongated torso give it a slightly unproportional appearance, however the breed is very quick and agile despite it's short legs. 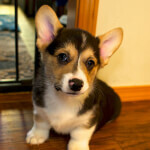 The Pembroke Welsh Corgi does very well with families, children, and other animals. However, due to the breed's strong herding instinct it may attempt to "herd" small children and other pets back to the group if the wonder away. The breed's intelligence makes it easy to train, but also makes the Pembroke susceptible to developing destructive habits out of boredom. 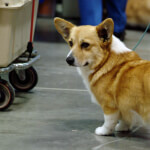 You can expect the Pembroke Welsh Corgi to be a medium maintenance dog breed. They need to be exercised daily to burn off their excess energy and the breed is prone to overeating so their food intake should be monitored. The Pembroke sheds frequently and will need to be brushed regularly to keep hair dander to a minimum. 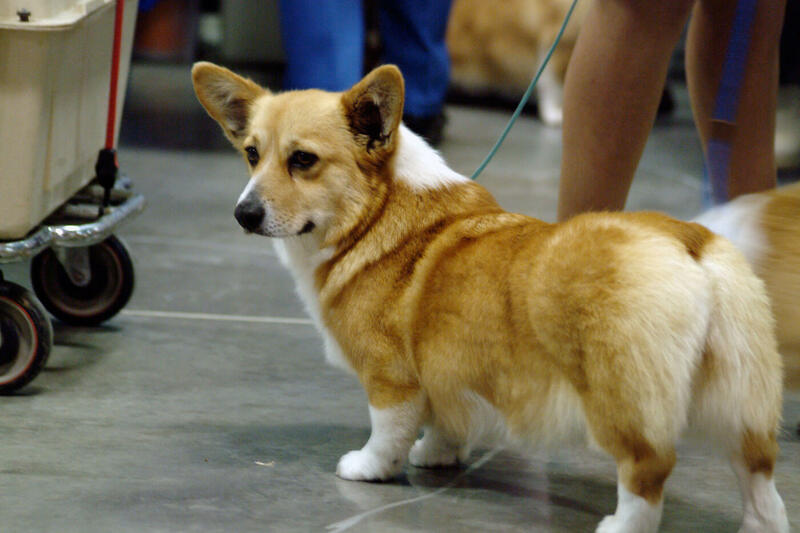 The Pembroke Corgi is a breed of the Spitz group, and was recognized by the AKC in 1934. The direct ancestors of the Pembroke were brought across the channel by the Flemish weavers during a Vikings Invasion that took place about 1000 years ago. The Flemish were of agrarian nature, and the Pembroke adapted well to their farmland, working as herding dogs. 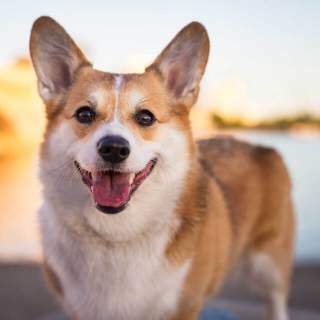 The Pembroke Welsh Corgi is a descendant of the Cardigan Welsh Corgi, and is ancestry also includes the Keeshond, Schipperke, Pomeranian, Samoyed, Chow-Chow, Norwegian Elkhound, and Finnish Spitz. 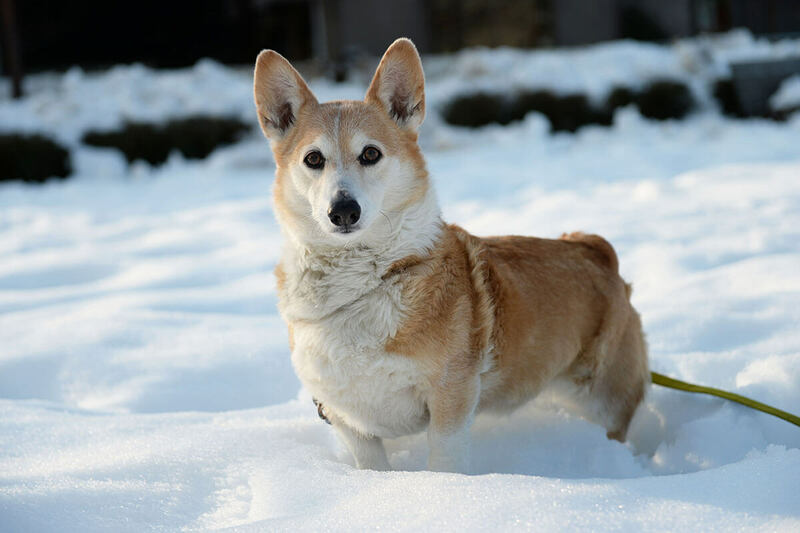 The Pembroke Welsh Corgi has a thick double coat to protect it from any harsh weather and rough terrain the breed may come across while herding. 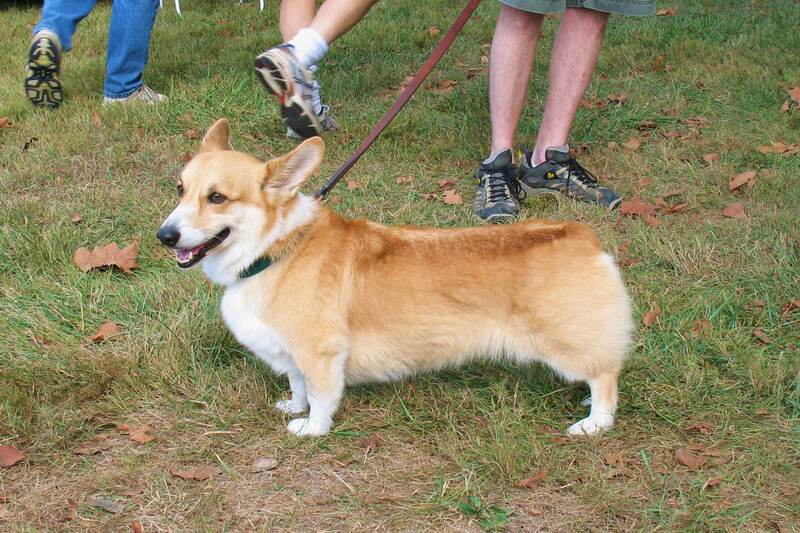 The breed has short legs and an elongated torso which gives the Pembroke a somewhat unusual appearance. 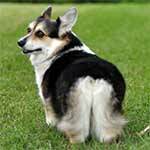 The Pembroke has pointed ears and a naturally docked tail - which is the easiest way to tell the difference between the two Corgi breeds. 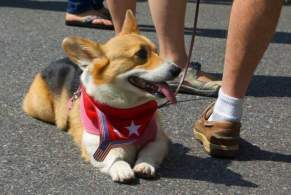 The Pembroke Corgi comes in five basic colors, all of which come with trims of white: red, red-headed tricolor, black-headed tricolor, sable, and fawn. Red is the most dominant of all its colors. 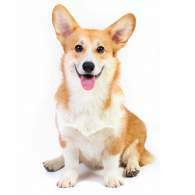 The Pembroke Welsh Corgi is considered a medium-sized breed, with the Cardigan Corgi being slightly larger than the Pembroke Corgi. The size varies from 10 to 13 inches, with a weight that can reach up to 30 pounds. 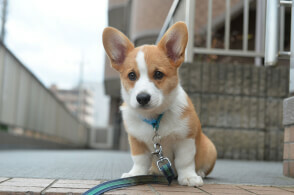 The Corgi is a highly-intelligent, loyal and independent dog. Both types are very trainable, but a lot of patience and positive reinforcement is required while training this breed. 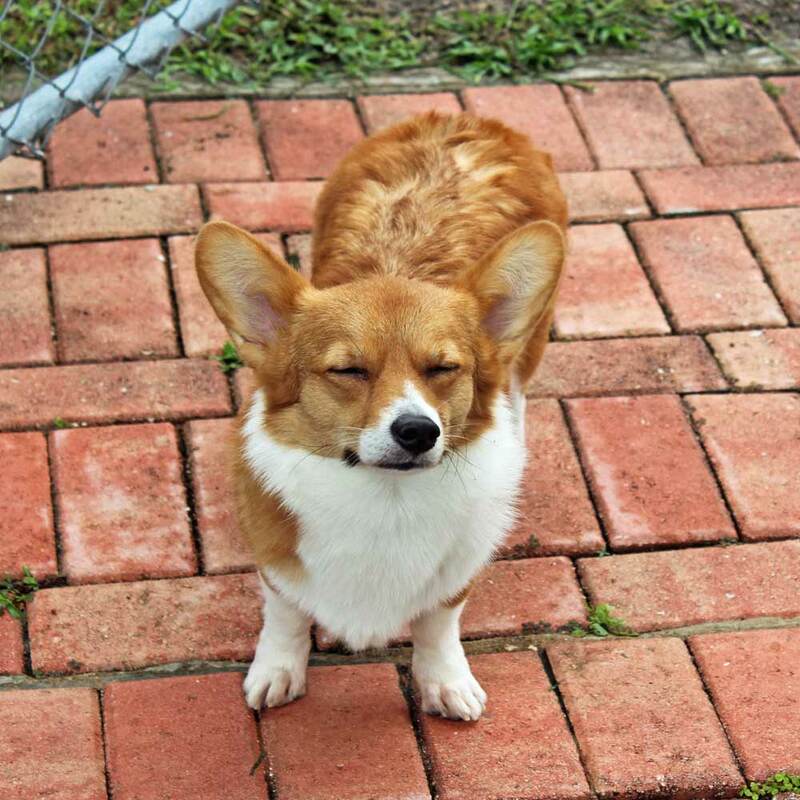 The Corgi has independent judgment and problem-solving abilities, and it is important that the owner must have the confidence to establish and constantly reinforce the rules, or the Corgi may make up its own. Carrying a "big dog" bark and acute alertness, the Corgi makes for a fearless and vigilant guardian dog. With a natural working ethic embedded in them, the Corgi will often find work for itself to keep busy. If not properly exercised physically and mentally, they can become anxious and destructive when left alone. The Pembroke Corgi is often described as outgoing, playful, bold, protective, tenacious and friendly. Herding, obedience, agility, or chasing balls are all enjoyable outlets for the Corgi's strong desire to work. A well-socialized Corgi is very fond of children and other human beings, so long as the Corgi sees the human above them in a pack. Always eager for love and play, the Corgi enjoys that of children. It is important to properly train the Corgi at a very young age to ease its herding and nipping habits. While the Corgi gets along fine with children, they can still exhibit dominance over small children. Because their herding involves the nipping of heels, playtime should always be supervised. A well-socialized Corgi is agreeable with other pets. It is important to socialize them with other pets while at a young age to help improve its interactions with other animals. The Pembroke is naturally cautious of strangers, however if they are raised in an environment with frequent guests they will quickly become comfortable with other humans as long as they are not seen as a threat. 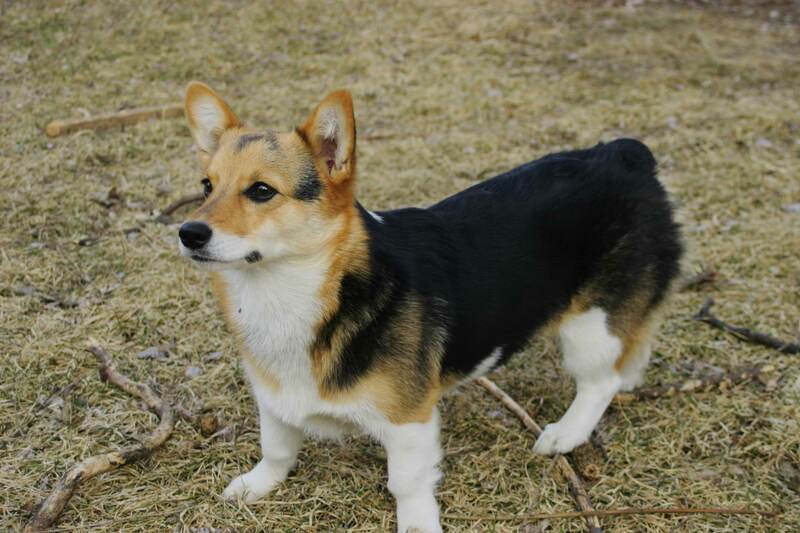 Below are pictures of the Pembroke Welsh Corgi dog breed. The Corgi is a medium maintenance dog. 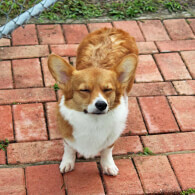 Because it sheds frequently, the Corgi needs frequent brushing care to contain its shedding. With its medium to high energy, the Corgi requires vital exercise and diet. 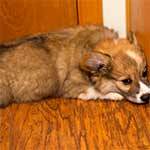 The Corgi is a hearty eater, and should therefore be monitored closely in diet as excess weight can lead to various health issues. 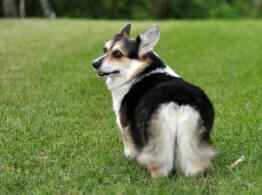 The Pembroke Corgi sheds continuously, with heavier shedding occurring at least twice a year. It is easy to groom, but can pose problems if brushing is not kept up. Because Corgi is a herding dog, it requires plenty of exercise, and always needs something to focus on. The Corgi needs to be properly exercised, both physically and mentally. If not, it can become anxious and destructive when left alone. 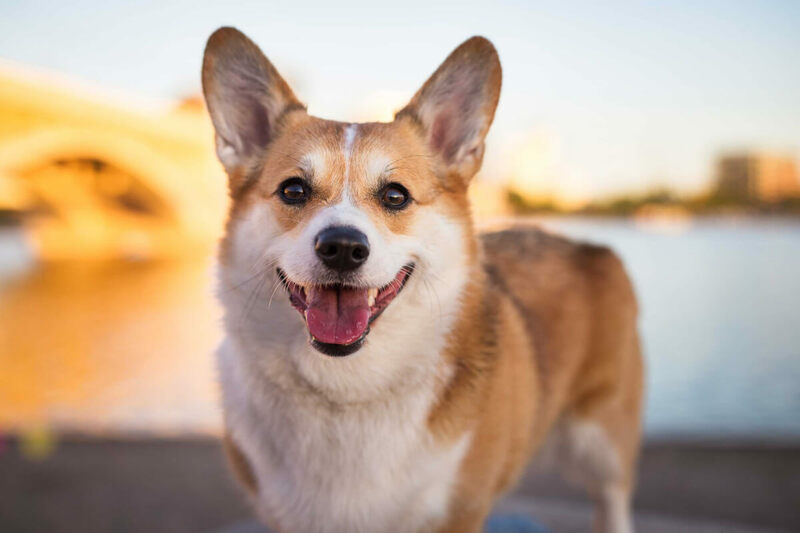 With its hearty eating habits and likelihood of back problems, it is important that the Corgi is given frequent exercise and play time to keep up its health. The Corgi can adapt to many different environments (whether a farm or an apartment), as long as they are given the proper exercise. Corgis adapt well to a wide range of temperatures. Because their derivative country has all four seasons, the Corgi is familiar with a vast range of temperatures. 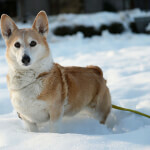 Corgis are comfortable in heated temperatures up to 80 degrees Fahrenheit, and they are also comfortable in colder temperatures down to 50 degree Fahrenheit. The Corgis have a double coat, withstanding harsh temperatures. They shed their dense undercoat in the spring time to prepare for summer. They activate their internal mechanism to control the outside temperatures in order to avoid overheating or freezing. 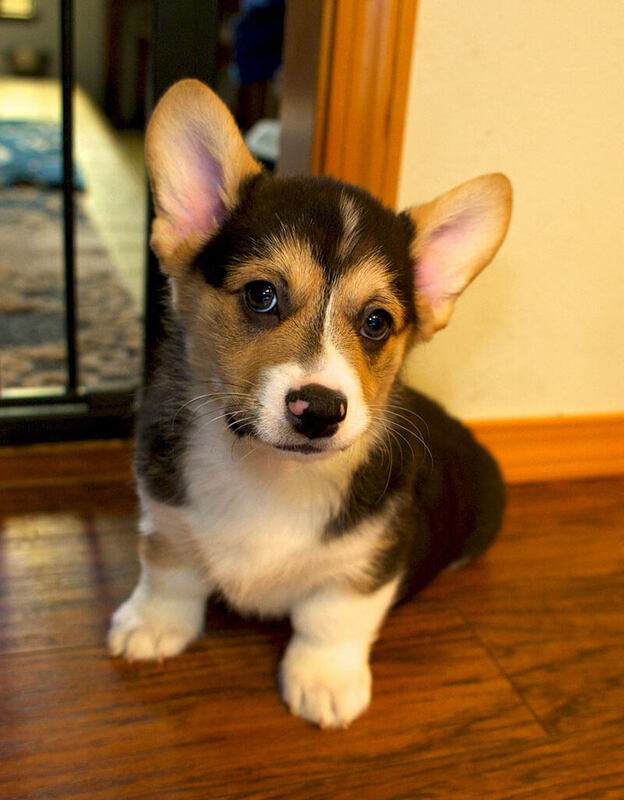 The average lifespan of a Corgi is 11 to 13 years. It is prone to serious health concerns including Intervertebral Disc Disease, Canine Hip Dysplasia, and epilepsy. Less - common issues include lens luxation, von Willubrand's Disease (vWD), Progressive Retinal Atrophy (PRA), and urinary stones.